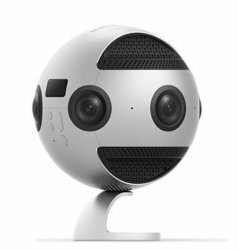 360 video is here and perking up the eyes of marketers. 360 video and virtual reality can work hand in hand for some astonishing results when executed well. We capture 360 and virtual reality content in 8K resolution which produces astonishingly crisp results as you can see in the 360 below from a luxury resort. Some of the industries that we feel have the most to gain from 360 video are commercial real estate, hospitality, the cruise industry and residential real estate. We have spent the last few years testing and creating best practices for brands that want to jump into 360 video and would love to help you leverage this immersive media to help your brand. We use top of the line 8K (true 4k all the way around the 360 viewing area) professional cameras to produce a beautiful 360 video experience for fans of your brand. 360 video can be especially interesting with Facebook Live and broadcasting live to other social networks. Below is an example of the power of 360 video with a video produced for Cap Maison resort in St. Lucia. You can experience their beach and restaurant in a way no other media can even come close to presenting. Contact us today for more information about the technology and how we can use it to amplify your marketing.